Renault India is going to introduce a new sedan Renault Scala for their Indian customers later this year. This sedan car will house a powerful 1.5 liter engine and the company has a lot of hopes pinned on this sedan to increase their market share in this lucrative Indian car market. This upcoming car will be in competition with the likes of Nissan Sunny and other contenders in this segment. 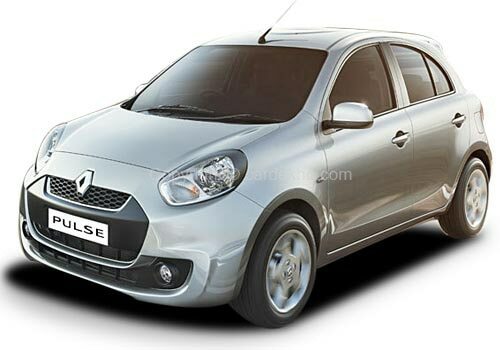 Renault is riding high on the sales of Renault Pulse, which is their premium compact hatchback car model. This car has almost all the features that makes it appropriate for the Indian conditions as well as the customers. It is powered with a commanding K9K diesel engine that can displace 1461 CC; it is 4 cylinders car with 5-speed manual transmission. This engine is capable of churning out a power of 64 Ps along with a maximum torque of 160 Nm as stated in a Renault Pulse review. The exteriors are decent and straightforward, the front bumpers have a pair of fog lamps and the head lights are quite big for enhanced visibility. The front grille is broad and houses the company’s emblem, while the rear end is curvy and the spoiler makes it look sporty as can be seen in the Renault Pulse pictures. The Renault Pulse price for the base variant is starting at Rs. 5.89 lakh, ex-showroom New Delhi. Renault Pulse hatchback is packed with features such as a music system, power windows, tinted glass and other safety features like engine immobilizer, automatic door locking and so on. This great hatchback is a suitable city car and will definitely perform well in the Indian traffic conditions as well.Also there is a lot going on in Maruti's stable right now, Maruti India upcoming car in the MPV car segment Maruti Ertiga is all set to boost their market share further in the domestic car market. I recently shared that Ford India adds Ambiente variant to its 2012 Fiesta line-up at Rs. 7.23 lakh and Volkswagen adds a new trim Comfortline to Vento.